If you are looking to take your electrical career, business or your team of electricians to a new level - It's time to think differently! 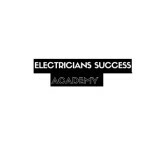 Electrician's Success Academy is an online video learning platform for electricians in Australia to use as a... resource to succeed in the electrical industry. This is a social learning platform focuses on developing a high-performance mindset with lessons from industry leaders, coaches, and world experts to provide you with a direct route to success. students gain a lot of expertise in the hand based skills.